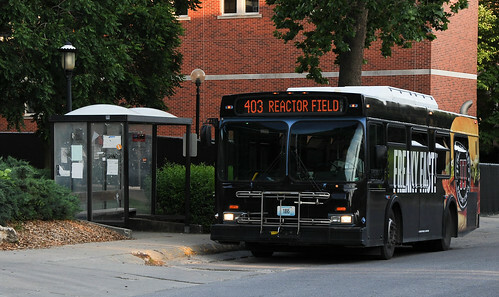 Tiger Line is MU's free student shuttle service. It runs seven days a week during the fall and spring semesters. The day routes run from 7 a.m.–6 p.m. Monday–Friday and serve all of campus, including commuter parking lots. The night routes run from 6 p.m.–1:30 a.m. Monday–Saturday and noon–1:30 a.m. Sunday, and include stops downtown and at other shopping areas. For more information, check route maps and schedules online. COMO Connect is the city of Columbia's public bus service. It offers a low $1.50 one-way fare or $3 all-day pass, payable in cash on the bus with exact change. Students have the option to purchase a semester pass with unlimited rides for $100 (student ID required). Passes can be purchased online or at the Wabash Station, 126 N. Tenth Street (map). Route maps and schedules are available online or through the COMO Connect app (available for Android and Apple devices). Buses run from 6:30 a.m.–8 p.m. Monday–Friday and 10 a.m.–8 p.m. Saturday. Buses pick up passengers at points along the routes that are designated with "Bus stop" signs. More information about riding the bus is available on the COMO Connect website. Columbia has multiple bicycle trails as well as designated bicycle routes on public streets. Bicyclists are expected to ride along the right side of the street and follow the same traffic regulations as motor vehicle drivers. PedNet Coalition, an organization dedicated to encouraging active travel such as walking and bicycling, offers courses in bike riding. GetAbout Columbia provides numerous resources for biking and walking around the city. Check the extensive online biking guide for routes, road rules, safety advice, bike rack information and more. All bicycles must be registered and licensed with the City of Columbia. This can be done through the MU Police property registration service or at any city fire station (call 573-874-7391 to find one near you). Registering your bike will increase your chances of getting it back if it is lost or stolen. If you don't want to purchase a bike, you can use the Mizzou Bike Share program, which allows students to check out bikes for free. To borrow a bike, you must sign a waiver and swipe your student ID at the information desk in the MU Student Center. The Environmental Leadership Office also offers the Bike Resource Center, a weekly event (weather permitting) where you can learn about bike safety and have basic bike repairs done for free. 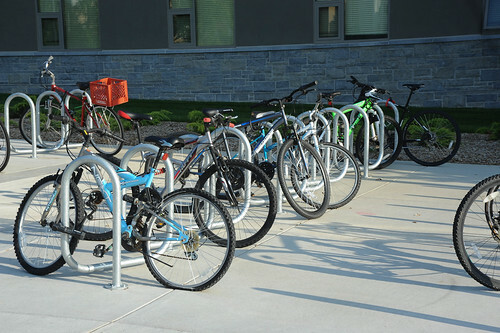 In addition, there are several self-serve bike repair stations located near bike racks on campus and along several community bike trails. The Columbia Regional Airport has a good list of taxi, shuttle and limousine services in mid-Missouri. You can also find taxi companies in the Yellow Pages. All taxi cabs are metered, so the cost depends on the distance you travel. Ask about the rate before hiring the cab. When you need a taxi cab, it is best to call ahead and request one be sent to your location. STRIPES is a student-run program that provides safe and confidential rides home within the city limits of Columbia for any MU student and their guests. It runs from 10 p.m. to 3 a.m. Thursday, Friday and Saturday during the fall and spring semesters. To request a ride, call 573-442-9672; you will need to show your student ID. For additional details about this program, see the STRIPES website. You must have a driver's license to operate a motor vehicle or motor-driven cycle on public roadways. To learn more about how to obtain a license, see the driver's license information. MU has partnered with Enterprise CarShare to provide easy access to rental cars on campus. The program is open to MU students, faculty and staff ages 18 and older, and applicants must provide a valid .edu email address, valid driver's license and valid major credit card in their name. Information about rental costs and processes is available on the Enterprise CarShare website. There are several other options for car rentals in Columbia. You can find car rental companies in the Yellow Pages. To find cars for sale, look under "automobile dealers" in the Yellow Pages, on automotive websites, in the classified sections of Columbia newspapers or on classified ad websites. You should be sure to test-drive the car and feel comfortable driving it before you buy it. Though prices are fixed for most purchases in the United States, a car is one of the few exceptions. You can and should bargain for the price of the car. The advertised sticker price is only a starting point. Prices vary widely based on a number of factors, including make and model, age of the car and features, so shop around before buying. If you do not want extra features, do not be pressured into buying them. Check Consumer Reports for both new and used cars to learn about each car model's good and bad points. When buying a used car, it is often wise to have a mechanic not associated with the seller inspect the car. The cost of buying a car includes sales tax, license fees and inspections. The cost of maintaining a car includes insurance, fuel, repairs and parking fees. Insurance is required by law. Have your car inspected by an automobile dealership or service station designated as an inspection station. All vehicles are required to pass safety inspections, and some counties require emissions inspections. Make any repairs that are necessary to pass inspection. Within 60 days after the inspection, take the Inspection Certificate, the title to your car and your Boone County Personal Property Tax Receipt for the previous year to the Columbia License Bureau at 403 Vandiver Drive, Suite B (map). If you were not in Boone County the previous year, you need to obtain a "statement of non-assessment" from the Boone County Assessor (801 E. Walnut, Room 143; map). Upon completion of your application, you will receive two metal license plates, which should be put on the front and back bumpers of your car. After your initial licensing, you will only get renewal stickers to be attached to the metal plates for the next year. Liability insurance pays for damages you do to other people or to their vehicles. This type of insurance is required by Missouri law. Not having liability auto insurance is a misdemeanor and can be punishable by imprisonment for up to one year. Medical insurance covers the cost for injuries sustained by you or your passengers. Collision insurance covers loss or damage to your car resulting from a collision. Comprehensive insurance covers loss or damage to your car caused by fire, storms, theft or vandalism.